Novosoft was founded in 1992 and started as an offshore firm developing various software solutions for third party companies working in different commercial segments. Since then, more then 500 large-scale projects were successfully completed. The company has established cooperation and strategic partnership with such world-famous IT market participants as IBM, Lotus, Microsoft, Sun Microsystems, Samsung America and Hewlett Packard. Those co-operation experiences were constantly summed up and applied to a wide range of our products and services. For the moment being, Novosoft is comprised of Business Consulting and Products divisions. Business Consulting Department activity supposes, first of all, working with big companies in the field of development, adaptation and implementation of enterprise management systems such as CRM and ERP software. Novosofts products - Handy Backup, Handy Password, RTF2XML - shortly became popular and gained the market. Now the software products we develop are used by over 100 000 people worldwide. Novosoft is constantly developing and improving its products and services to be able to provide high quality and cost effective solutions. We work in accordance with quality standards and strive for excellence through quality management methodology. We are flexible enough to meet our customers requirements in a manner that we can adjust to our existing personnel resources to achieve the customers’ specific needs defined by the undertakings of the company. Our flagship product is Handy Backup - all-included backup software for Windows 10/8/7/Vista/XP and 2016/2012/2008/2003 Server. To learn about the product, please browse this website. Handy Password is an easy-to-use password manager. It saves online passwords, fills login forms with memorized info, automatically logs you into a web site, allows you to view and edit passwords, encrypts password-protected info using 128-bit encryption. RTF TO XML converts RTF documents (for example, MS Word documents saved as Rich Text Format) into well-formed XML documents in line with the XSL FO specification and uses various plugins to convert XML into PDF, HTML and other. Operated from a Graphics User Interface, or a command line, or through Java API, RTF TO XML converter can be used as a standalone application or as part of your own solutions. 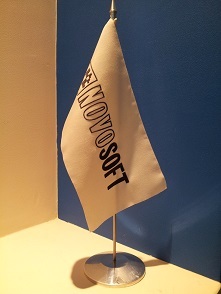 Established in 1992, Novosoft Group of Companies specializes in delivering integrated technology solutions, custom software development and IT-consulting services worldwide. With over 500 large-scale projects completed in various fields of IT-industry, we aim to be recognized as an important force in setting and maintaining the standards for software development services in the international IT market. Our flagship product is Handy Backup™ - professional backup software for Windows 8/7/Vista/XP and 2012/2008/2003 Server. Please see Handy Backup testimonials.